Global stocks slumped today after a key advocate for free trade in the White House resigned. Among banking stocks, SBI slumped nearly 4 per cent. Indian stock markets suffered sharp losses today in line with weak global markets. 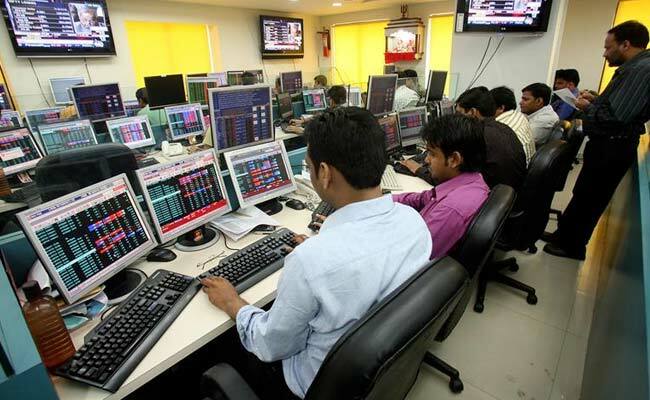 The Sensex ended 284 points lower at 33,017, extending its losses to the sixth day. Nifty fell to 10,154, down 95 points. Global stocks slumped today after a key advocate for free trade in the White House resigned, fanning fears that President Donald Trump will proceed with tariffs and risk a trade war. White House economic adviser Gary Cohn, seen as a bulwark against protectionist forces within the Trump administration, said on Tuesday he was leaving. Fears of a global trade war has roiled equities in past few sessions after US President Donald Trump pledged to impose hefty tariffs on steel and aluminium imports. "Key indexes have been on a downtrend. Weakness is seen across all sectors and global trends are adding to it. It is difficult to predict where Nifty will take support so we would advise investors to stick to the sidelines for now." said Sudhakar Pattabiraman, head of research operations at William O'Neil's MarketSmith. Banking stocks led the losses today in Indian markets, with the Bank Nifty index down 1.3 per cent. Among banking stocks, SBI slumped nearly 4 per cent while ICICI Bank fell 3 per cent. Banking stocks, especially state-run lenders, have been hit by a $2 billion scam detected by Punjab National Bank (PNB) last month. Energy, metal, and healthcare were the other sectors that were under strong selling pressure. Among other market heavyweights, Reliance Industries and ONGC fell over 2 per cent. Broader markets also came under strong selling pressure with BSE midcap and smallcap indices falling 1.3 per cent and 2.1 per cent respectively.